Universal Pictures just released the first trailer for Ma, a new Blumhouse thriller that looks stranger than any film in the last few years. 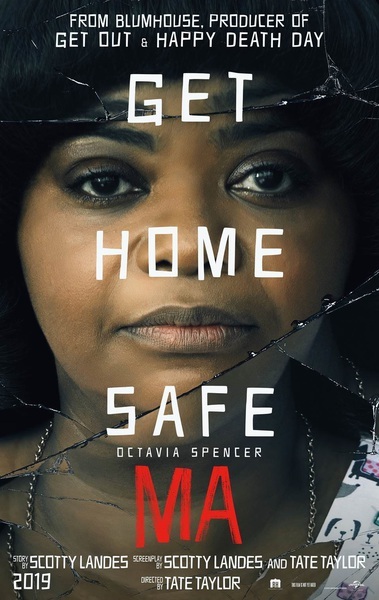 The premise is really weird and feels completely unrealistic; Oscar winner Octavia Spencer stars as Sue Ann, a loner who keeps to herself in her quiet Ohio town. One day, she is asked by Maggie, a new teenager in town (Diana Silvers), to buy some booze for her and her friends, and Sue Ann sees the chance to make some unsuspecting, if younger, friends of her own. Ma also stars Juliette Lewis (August: Osage County, Natural Born Killers) as Maggie's mom, Luke Evans (Beauty and the Beast, Dracula Untold) as a local dad, Missi Pyle (Gone Girl) as his girlfriend, and McKaley Miller (TV's "Hart of Dixie"), Corey Fogelmanis (TV's "Girl Meets World"), Gianni Paolo (TV's "Power") and Dante Brown ("Lethal Weapon" TV series) as Maggie's friends. Allein schon dank Spencer und Taylor interessant. Taylor ist natürlich eher ein Riesen-Warnsignal, aber ansonsten sieht das Ganze durchaus gut aus. Aber ich habe auch Angst, dass der Trailer schon zu viel verrät. Seite erstellt in 0.243 Sek. mit 27 Abfragen.